Death and Dying » Bl-Ce » Bonsen, F. Z.
Friedrich zur Bonsen (1856–1938) was a professor of psychology at the University of Muenster, Westphalia and author of Between Life and Death: The Psychology of the Last Hour (1927). In his book, Bonsen presents knowledge of his time about death and dying and his own reflections in a very emotive style. He is especially interested in presenting the transition from life to death and exploring the concept that dying is the biggest accomplishment of life. According to the work, the immense richness of the human soul will sometimes be revealed when death happens. Bonsen quotes a German bishop who, on his deathbed, asked his close friends to watch him carefully because they were about to witness one of the most interesting aspects of the world: transition into the afterlife. In sixteen chapters, in a brief 173 pages, Bonsen wrote a compendium of a "Psychology of Death." His elaboration is based on books and articles in a variety of fields (philosophy, theology, folklore, history, and classical and popular literature), as well as local and national newspapers, and religious booklets. For example, Bonsen observed no "fear of the soul" during the transition into the afterlife. Close to the end, there is a comforting well-being many dying patients never experienced before. Parallel to this increase in physical well-being is a strengthening of mental power. This idea was previously elaborated in 1836 by Gustav Theodor Fechner, and published The Little Book of Life after Death in 1904. During the final disintegration, supernormal abilities appear, and they enable the dying to have an overview over his or her entire life in one moment. The author presents cases where in the last moments of life even sanity came back to patients with longstanding mental illnesses. Bonsen noticed a great calmness of the dying. With respect to religiosity, the author concludes that people will die the way they lived: Religious people will turn to religion, and nonreligious will not. However, there are cases in which non-religious people, shattered by the power of the deathbed, became religious. This is not caused by fear, but rather a reversal to humankind's first and simple sentiments, which are religious in essence. Very cautiously, Bonsen presents reports where people witnessed visions and hallucinations of dying persons. Explaining these phenomenon, he refers to physiological changes in the neurological system. Especially when people are dying of hunger and thirst, the impending death is mercifully, offering delusions. The author believes that in the moment of death, when the soul is separating from the body, the dead person might see everything and religious beliefs are promising; the soul might have a clear view on afterlife. Most interesting are Bonsen's cases of near-death experiences, including drowning soldiers from World War I who were rescued and, without mentioning Albert Heim (1882), people who survived falls in wondrous ways. Heim was the first who collected and published reports of mountaineers who survived deep falls. The victims reported "panoramic views" and felt no pain as they hit the ground. Bonsen discusses favorably an explanation of near-death experiences that was forwarded by a person named Schlaikjer in a newspaper article published in 1915. "Panoramic view" is interpreted as an intervention of Mother Nature to protect humans from the terror of an impending death, an idea that was elaborated by the German psychiatrist Oskar Pfister in 1930. Friedrich zur Bonsen (1856–1938), in his influential work, Between Life and Death: The Psychology of the Last Hour, relied on his own personal experiences, but also collected information by talking to people about their death-related experiences. What kind of psychological processes accompany physical dying? Bonsen's best guess is based on an analogy with the experience of anesthesia, during which people report the feeling of plunging, falling, sinking, and floating. The author, therefore, describes the last moments in the following translation: "The consciousness of the dying is flickering and fleeing, and the soul is lost in confused illusions of sinking and floating in an infinity. The ear is filled with murmur and buzzing . . . until it dies out as the last of the senses" (p. 108). Bonsen is often remembered as a pioneer of thanato-psychology, despite the fact that his observations and reflections never stimulated any research. At the very least, he is considered an early writer in the field of near-death experience that almost fifty years later was inaugurated by Raymond A. Moody and his best-selling book Life after Life (1975). 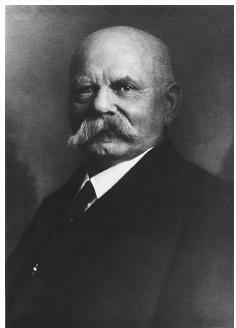 Fechner, Gustav Theodor. The Little Book of Life after Death, edited by Robert J. Kastenbaum. North Stratford, NH: Ayer Company Publishers, 1977. Moody, Raymond A. Life after Life. Atlanta, GA: Mockingbird Books, 1975.